Eloise Capitola Melton obituary. Carnes Funeral Home. Jun 3, 2016 To all the family my deepest sympathy, she is very sweet women and strong woman. I am sorry for your lost. My prayers are with you. MELTON, Eloise “Cappy” 83, of Houston, passed away Wednesday, May 25, 2016. She was born June 22, 1932 in Atlanta, Georgia to Philip and Ruth Glenn. During her childhood years she lived in multiple places in the US with her mother and father, a Colonel in the US Air Force. When she was a teenager, they returned to their hometown, Kuttawa, Kentucky. In 1950 she attended the University of Kentucky as a music and voice major. In 1952, she married Chuck, her husband of 58 years. After his Air Force service in England and California they returned to their home in Kentucky. There they owned and operated a retail hardware and building material business for 30 years and raised their family. During this time, Cappy also completed her BA in Education and History at Murray State University. In 1986 she moved to Clearwater, Florida where she worked as an analyst for an engineering firm until her retirement. Several years after the death of her husband, she relocated to Clear Lake, Texas in 2013. 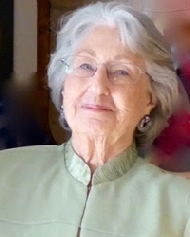 She was an active member of Kuttawa United Methodist Church, North Bay Community Church, in Clearwater and Clear Lake United Methodist Church and had a passion for music, community service and family. She is survived by two daughters, Beth Stinnett and husband, Don of Franklin, TN and Sara Henson and husband, Robert of Clear Lake, TX; and four grandchildren, Ben Stinnett, Amanda Henson Henry (Rick), Michele Henson and Andy Stinnett. A memorial service will be held Friday, June 3 at 3:30 pm at Clear Lake United Methodist Church. In lieu of flowers the family request that donations be made to MD Anderson Cancer Center or BrightStone, Franklin, TN.